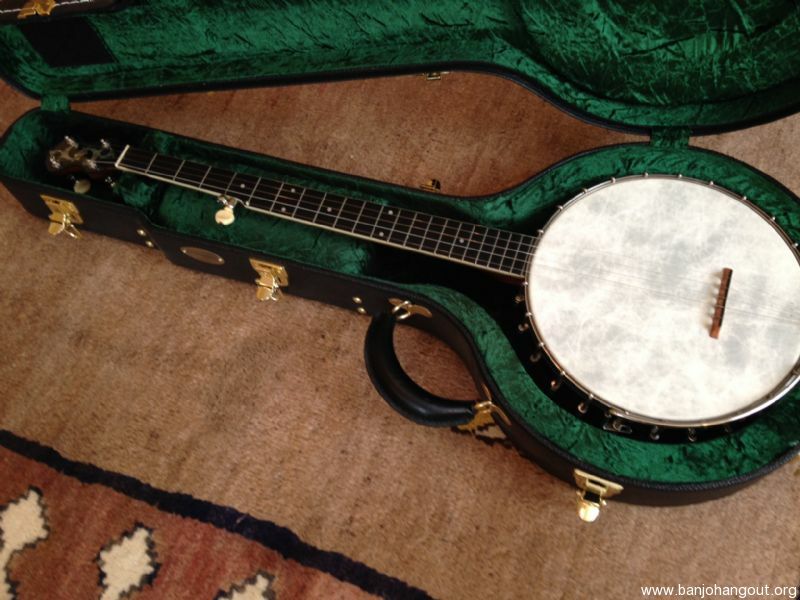 Beautiful W. A. Cole "Eclipse" 5-string banjo, model 3500, Circa 1890's. Professional model with purlfing and laminates under fingerboard, along with long backstrap. 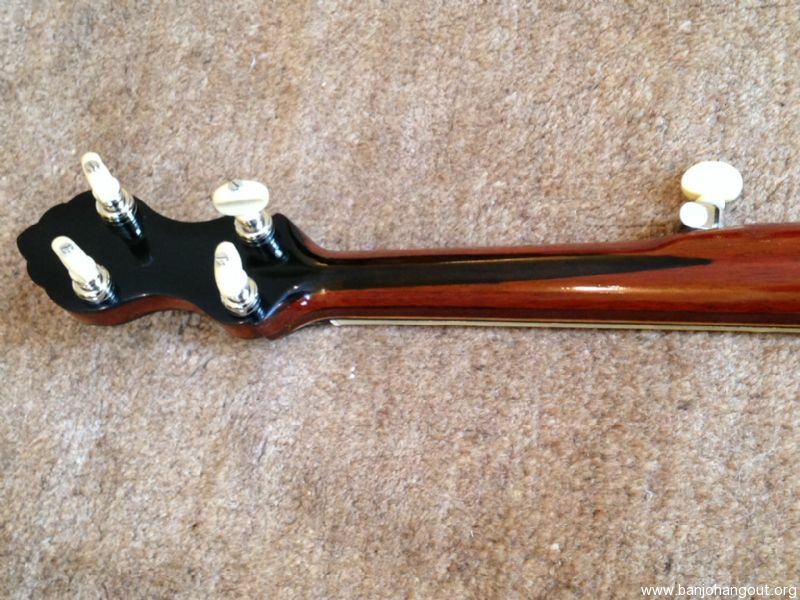 Purchased in from Smakula Fretted Instruments, who did restoration and setup work. 11 inch pot and 27 inch scale. 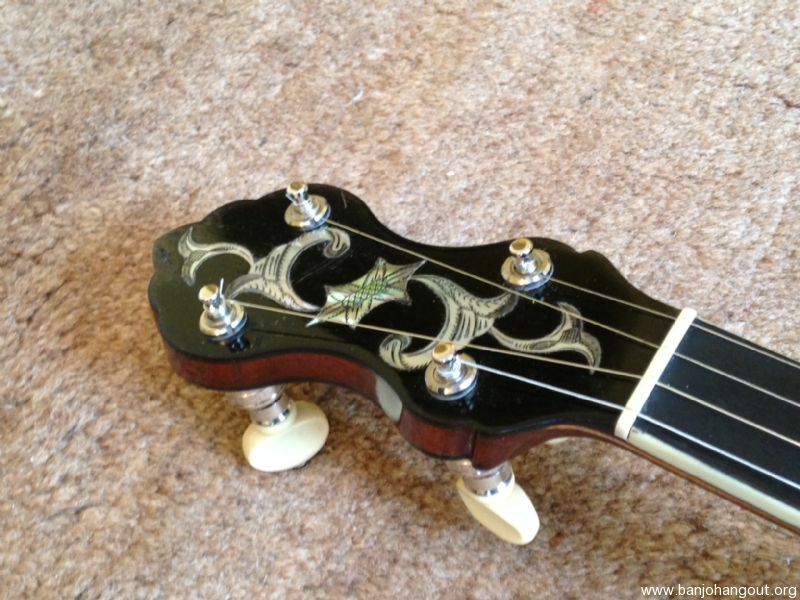 Beautiful mahogany neck with boat heel, and gorgeous floral inlay on peghead. All original hardware on pot (except wire armrest). Fiberskin head, Buckeye bridge. Modern day planetary tuners with ivory-colored knobs. Superior hardshell case. 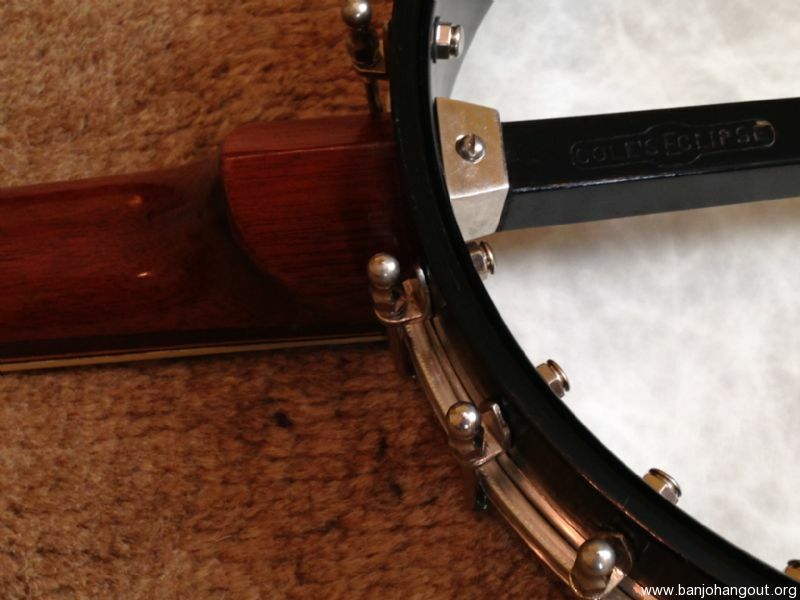 A wonderful piece of banjo history. 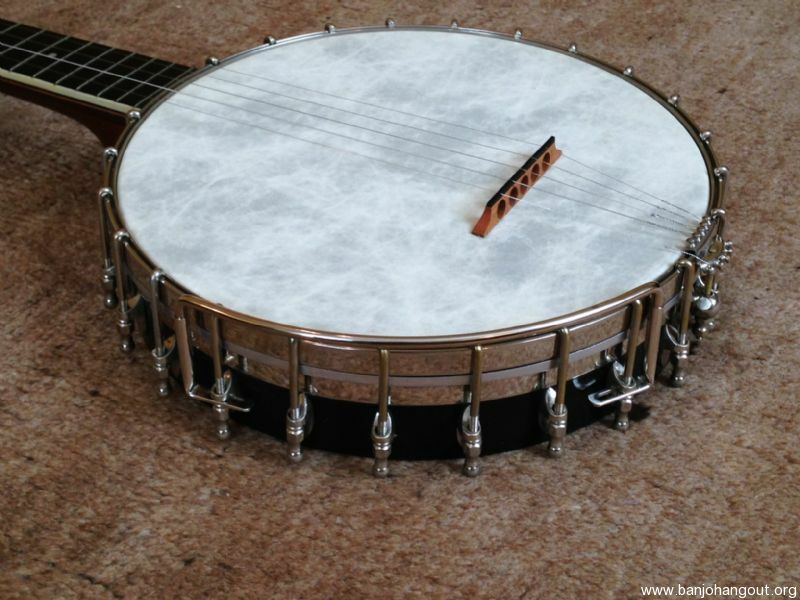 Plays perfectly with a beautiful lilting tone. Shipping: Buyer pays actual cost of shipping.